From asking around, most people are alarmed by the words ‘chemical peel’, never mind an at-home chemical peel! Common misunderstandings are that your skin will peel off in strips or that it’s a very harsh treatment. 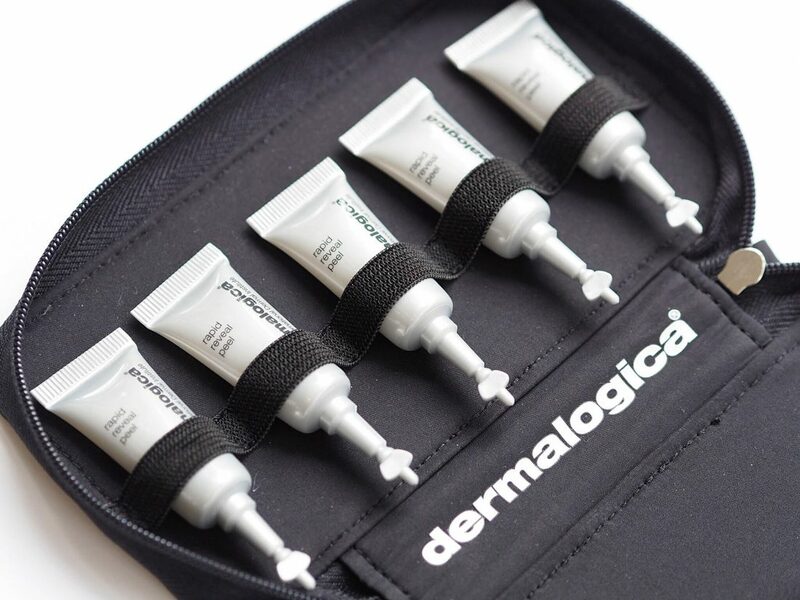 I’ve trialled the new Dermalogica Rapid Reveal Peel that uses AHA extracts, Lactic Acid, pumpkin enzyme ferment, Caviar Lime, rice bran and pumpkin enzymes. I liked it for leaving my complexion much clearer, smoother and more glowy (which is what I’d hoped it would do) as an end of summer, pre-winter boosting prep. I love the pre-measured doses as there was no confusion about how much to use, and the feel of your regular moisturiser over newly peeled skin is something near to complexion heaven! 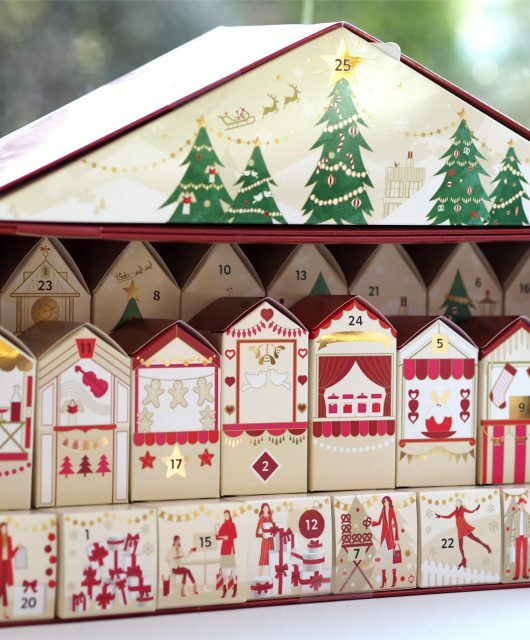 The ten piece treatment comes in a little pouch so you can keep track of where you are in the regime (one a day for the first three days and then one a week thereafter). 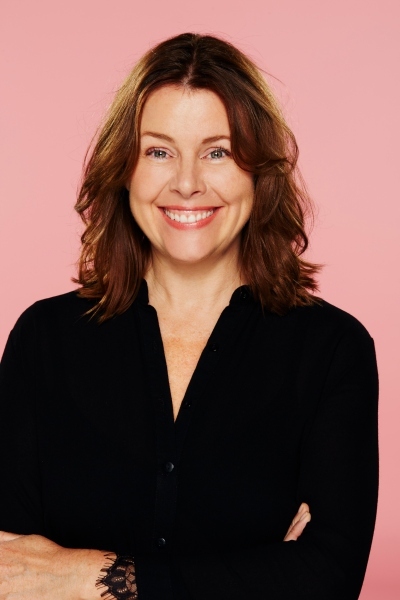 I’ve also had some time with Dermalogica’s Education Director, Sally Penford, to demystify peels for us all with a comprehensive, everything-you-need-to-know guide. I don’t think anyone knows more about peels than Sally as you’ll see when you read through the feature. 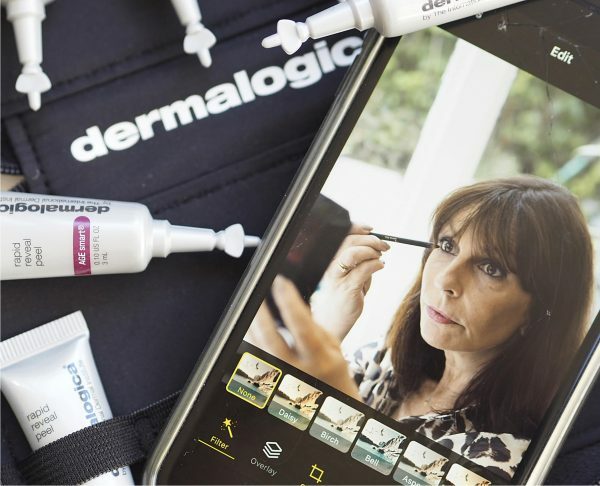 Sally’s advice is good for all peel products, but if you decide you like the sound of the Dermalogica’s Rapid Reveal Peel, I’ve organised two free sample products as extras for BBB readers (use code BRITBEAUTY at check out, see link at the bottom of the post). You’ll receive a Calm Water Gel (10ml) and Special Cleansing Gel (50ml) both of which are ideal partners to the peel. Skin sheds approximately 35,000 cells an hour, with dull cells located at the top of the epidermis and plump new cells emerging at the bottom. Peels help speed removal of the surface cells so the new cells underneath can emerge faster to leave skin looking fresher and more glowy. Peels are an excellent treatment for a wide range of skin concerns, including acne and hyperpigmentation. Most peels work the same way: they promote more rapid cell shedding using a chemical action to unlock skin cell linkages dissolve the lipid based ‘glue’ that keeps the cells holding on for longer than needed. Are there different types of chemical peel? Yes, peels can differ in formulation and strength – everything from choice of acids and the supporting ingredients to pH value can be different from product to product. 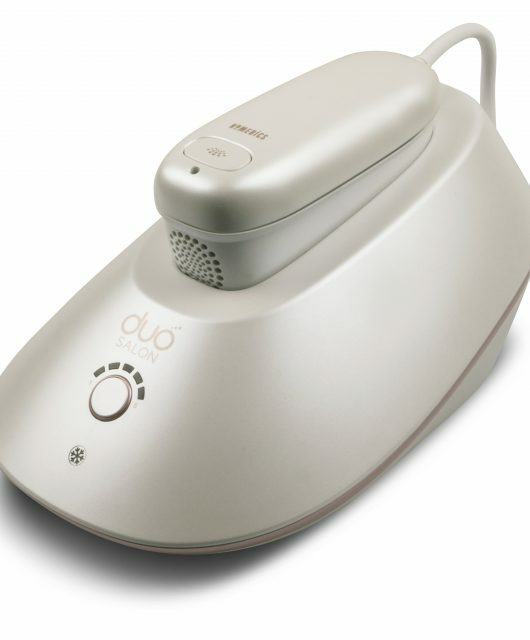 There’s also a difference between aesthetic ‘salon’ treatments and at-home which tend to be less intense. 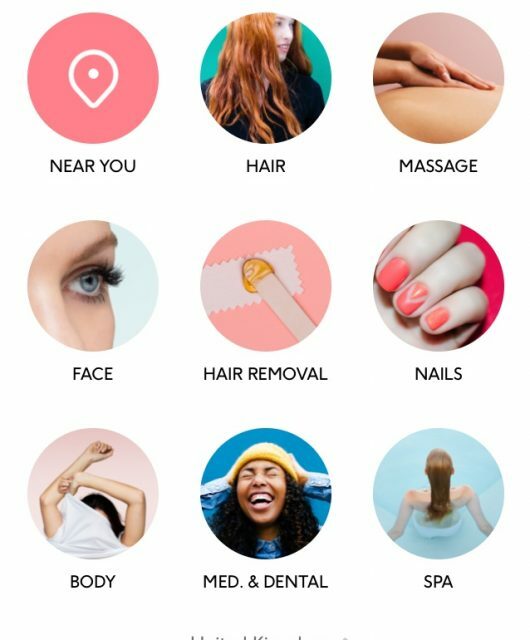 Salon formulas need trained practitioners to avoid adverse reactions, but that doesn’t mean at-home peels aren’t effective – they’re great at easy removal of dulling surface cells and also building up skin’s tolerance in readiness for stronger professional peels if you want to take that option. Professional peels should always include a patch test. If you are concerned about your at-home peel do a patch test to check your sensitivity and potential for reaction. How will I know what is the right peel for me? 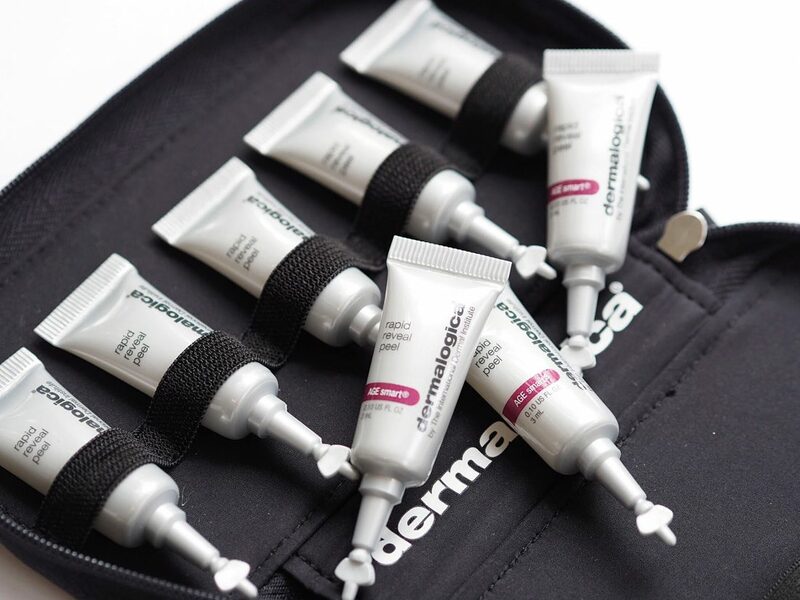 The best way to determine which peel would be best suited to your skin would be to go and receive a thorough consultation (Dermalogica offers a comprehensive Face Mapping service) from a professional skin therapist. They can help you make the right choice based on your skin goals and lifestyle. As a broad guide, peels using Lactic Acid are suitable for most skins (including those with dehydration and hyperpigmentation), Glycolic Acid is for skin ageing concerns, and Salicylic Acid and Mandelic Acid for breakout or rosacea prone skins. Is it okay for sensitive skin types to use a peel? That depends on both the degree of sensitivity and the strength of the peel. Healthy skin is less likely to experience adverse reactions to a chemical peel. Cracked or dehydrated skin allows chemical peel agents to penetrate too quickly and too deep, which can intensify stinging and burning and result in an unwelcome skin response. At-homes are less concentrated but if your skin is inflamed, don’t risk it without professional advice. How long does it take for a peel to work? Improved brightness and smoothness will be immediate. For more significant results on breakouts, scarring, pigmentation and ageing concerns, regular treatment over 8-10 weeks with your at-home peel will be required. Will my skin visibly fall away? No! Your skin will not visibly peel, but you will feel that you have peeled it in terms of skin softness and brightness. What results should I see from a peel? Immediately after an at-home peel your skin may look slightly pink and flushed, although this varies dependant on your skin condition. Some skins will simply look brighter and fresher. 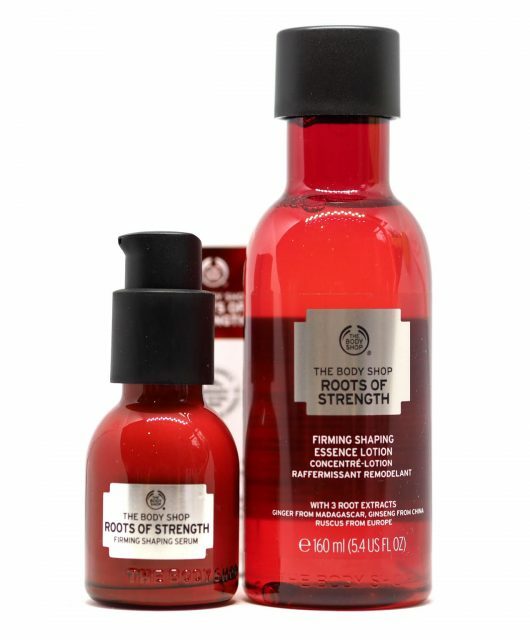 This colour generally settles quickly to leave clearer, smoother skin. How often should I use a peel? 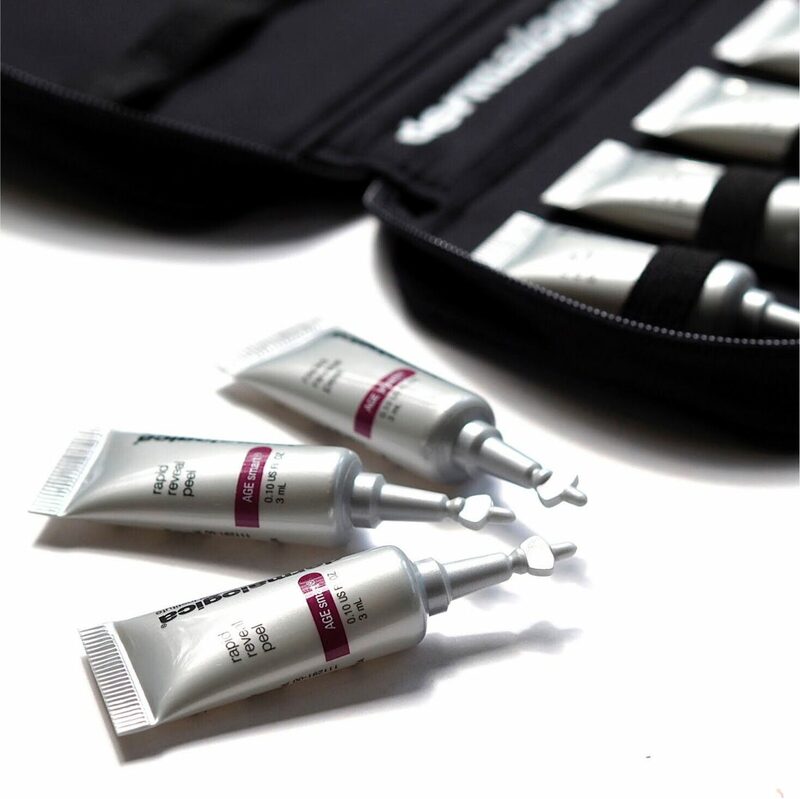 While Rapid Reveal Peel has a kick start option to maximise your results using it three days consecutively before progressing to once weekly, most peels will require at least a once a week application. Are there any times I shouldn’t use one? Highly sensitised skins and those with inflammatory skin conditions like eczema need to be very careful and might not cope with peeling the skin. Do not exfoliate or peel skin that is sunburned, irritated, sensitive or has recently been professionally exfoliated, resurfaced or waxed. Some medications can be contraindications too. Exfoliation is not recommended for users of any topical or orally prescribed acne medications (such as Accutane). Where does a peel fit in with my regular routine? It is best to carry out your at-home peel during the evening as this is when your skin best absorbs active ingredients, replacing exfoliation after cleansing and before your skin creams or serums. Should I do regular peels? It’s a choice rather than a requirement but regular peels will help to keep your skin bright and glowing all year round. Can I do peels in summer? Yes, although I would recommend avoiding direct sun exposure for a day or so after and you must apply SPF30+ protection every day. Damage from UV can reverse the peel results and the active ingredients can also cause sun sensitivity. If you’re using Rapid Reveal Peel, while it’s maximum at-home strength, it doesn’t result in downtime so you shouldn’t experience discomfort from using SPF. Should I alter my regular routine or products if I’m using a peel product? Peels should be used at night after cleansing, before applying toner, serums or moisturisers. You may need to make a couple of small adjustments such as eliminating added exfoliants and stopping retinol products on the evening of a peel use. Are there any warning signs to look out for that I should stop using the peel? If after using your at-home peel your skin becomes visibly flaky and irritated or feels sore stop use. What are the benefits of using a peel? Their benefits are manifold. Peels can help increase the efficacy of your nightly skin care routine by lifting away dead skin cells that could impede product penetration. With regular use, they are also effective at brightening and evening out skin tone (provided you use daily sun protection) and unclogging pores to help manage acne and congested skin conditions. Can every tone skin use at home chemical peels? Yes, any skin tone can use the at-home peels, however every skin is different and will experience different results. So, there we have it! 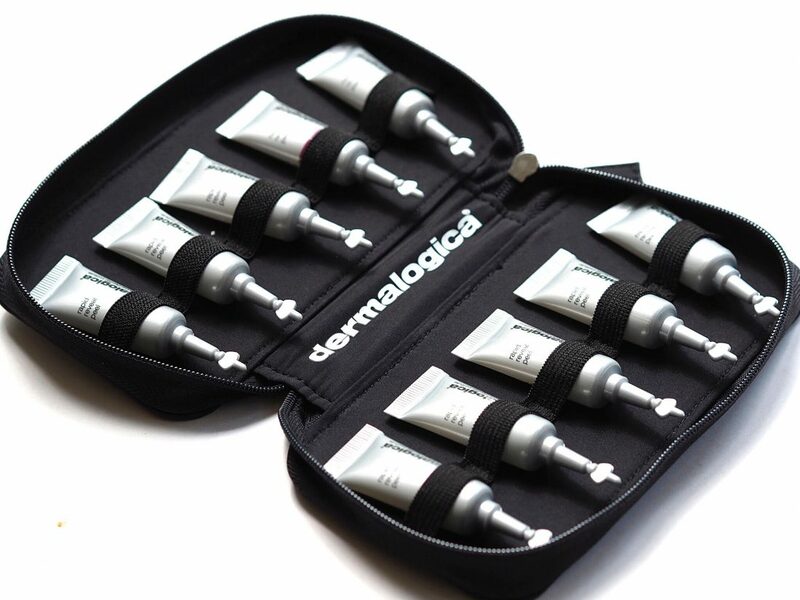 If you ‘d like to buy the Dermalogica Rapid Reveal Set, it’s HERE and use code BRITBEAUTY to qualify for the special offer. Only available to redeem online. Free Calm Water Gel 10ml and Special Cleansing Gel 50ml added to qualifying orders when BRITBEAUTY code used at checkout, and purchasing Rapid Reveal Peel or a minimum spend of £79.00 has been met. Only one per qualifying order. Offer valid from 26th September- 20th October 2018 or while stocks last. Further terms can be see HERE.